The Involvement Center in the Miron Student Center, Room 303 is in charge of the student group recognition process. 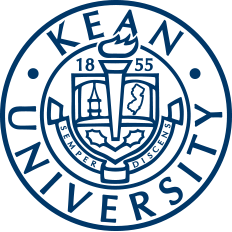 Kean makes it easier for students to get involved with its variety of clubs, Greek organizations, honor societies, athletics, and student government. However, knowledge regarding the inner workings of these organizations and the process of establishing funded and non-funded groups is less common among regular students. The process of student group recognition and development is conducted through the Center for Leadership and Service (CLS), specifically the Involvement Center in Miron Student Center (MSC), Room 303. Interested parties must submit a group recognition request and FERPA form through Cougar Link, and then their proposed group will be evaluated for meeting the student leadership criteria, having a complete group constitution and outlining a clear mission and purpose. If approved, the group will receive a verification through email and will have to meet some additional requirements before the process is complete, such as fulfilling group leader training through attendance of the Student Group Leadership Conference, submitting an adviser contract, applying for a group email account and updating the group’s page on Cougar Link. Both new and existing student groups must apply for group recognition before certain deadlines each semester. In order to be recognized for each fall semester, the group must send a request through Cougar Link by the third Tuesday of the preceding April for normal registration, or by the first Tuesday of October during the fall semester for late registration. In order to be recognized for the spring semester, the group must send their recognition request by the first Tuesday of the preceding December for normal registration, or by the first Tuesday of February during the spring semester for late registration. 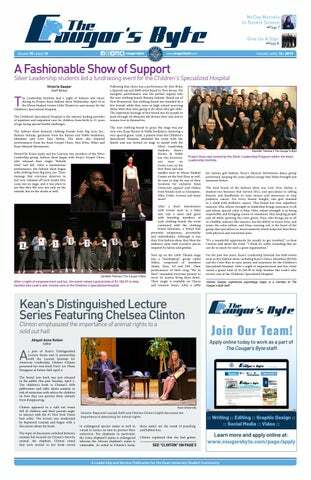 All groups, whether funded or non-funded, share common benefits such as a profile page on Cougar Link, association with Kean University’s name, a Kean University email account for their organization, a campus mailbox, and the ability to use Kean facilities. However, it is after the student group recognition process that proposed student groups can attempt to receive funding. According to Carli Hench, the managing assistant director of the Office of Student Government, there is an application that comes out the first Friday of every March and is due the second Friday in April. This application, called the “New Funded Group Application”, is geared toward groups that have already been recognized as a student group by CLS for at least one semester on top of the current semester in which they choose to apply. All funded student groups are funded through the Student Organization. The Student Organization is also in charge of conducting the evaluation process and choosing which groups will receive funding. When applying, a member of the group must complete the New Funded Group Application on Cougar Link and the group’s executive board must complete a New Funded Group Executive Board Application. It is important that every single member completes one of these applications or the process will be delayed. All groups that are chosen to receive funding have to meet certain criteria in order to be eligible to apply. Therefore, groups such as sororities, fraternities and honor societies are typically not eligible to receive funding because their membership is not open to everyone and they charge dues. On top of meeting the basic criteria, the Student Organization looks for groups that have a flourishing membership, a minimum of three executive board officers, and at least 10 general body members. Kean has a limit of funding a maximum of 25 groups at a time and each group receives an equal amount of money. They also have to report periodically so the Office of Student Government can be certain that they continue to meet the criteria that earned them funds in the first place. “We ask them to report to Student Organization Senate meetings to update the Senate on what they’re doing, just like a grant program. If you apply for a grant, and you get funded through that grant, then you have to report back at the end of that year on what you did with that money,” Hench said. While being a funded group has certain perks such as having event budgets and promotional budgets, non-funded groups also have the opportunity to fill out a “Special Projects” application. The Student Organization has a pool of money that they award to different non-funded groups attempting to hold larger events, and these groups can apply for certain deadlines throughout the year. The deadline is June 22 for September and October special projects, Oct. 5 for November and December special projects, and Nov. 30 for the spring semester. These events cannot exclude anyone from attending despite the fact that they are organized by non-funded groups. Hench recommended that non-funded groups that are intending to apply to become funded in the future should hold at least one special projects event prior to applying, so that when their applications are evaluated they will show that the group had successfully planned and executed a funded event in the past. For more information on funded and non-funded student groups, students can visit the “Organizations” section of Cougar Link or Kean’s Involvement Center in the Miron Student Center.